Jeanette Dale is known for using the 'old style' in her pieces. 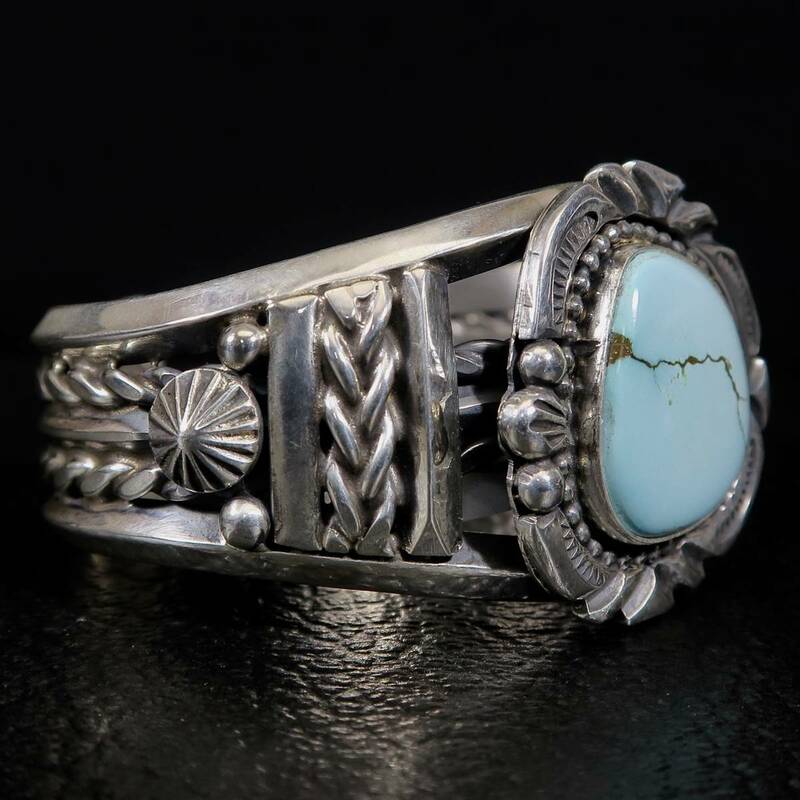 She prefers the traditional Navajo style with heavy, deep stamping and high polishes. She always leaves a maker's mark on her pieces to ensure its authenticity. 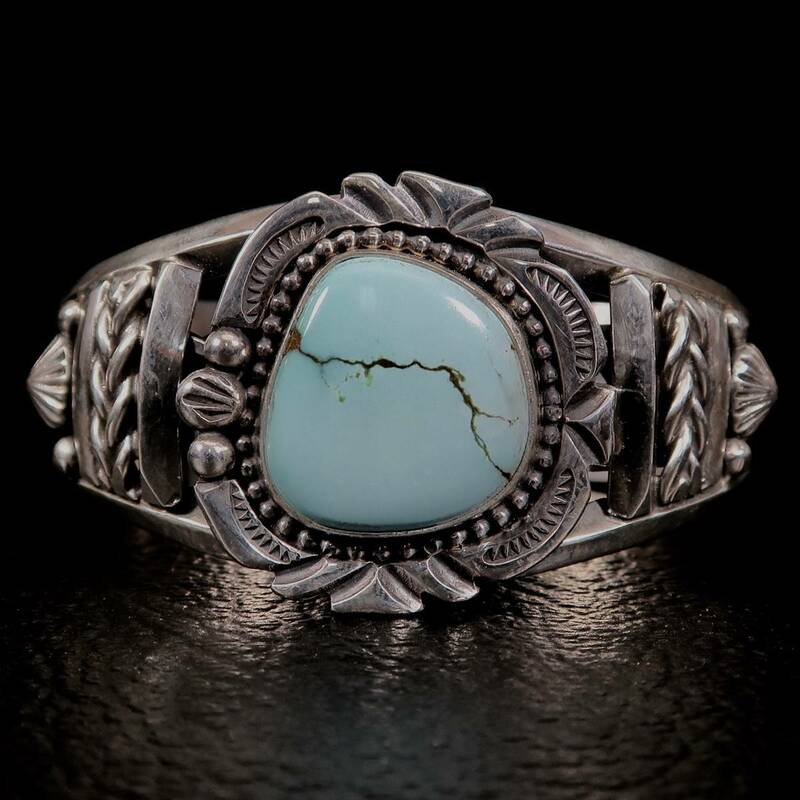 This bracelet has a sleeping beauty turquoise stone as a center piece. 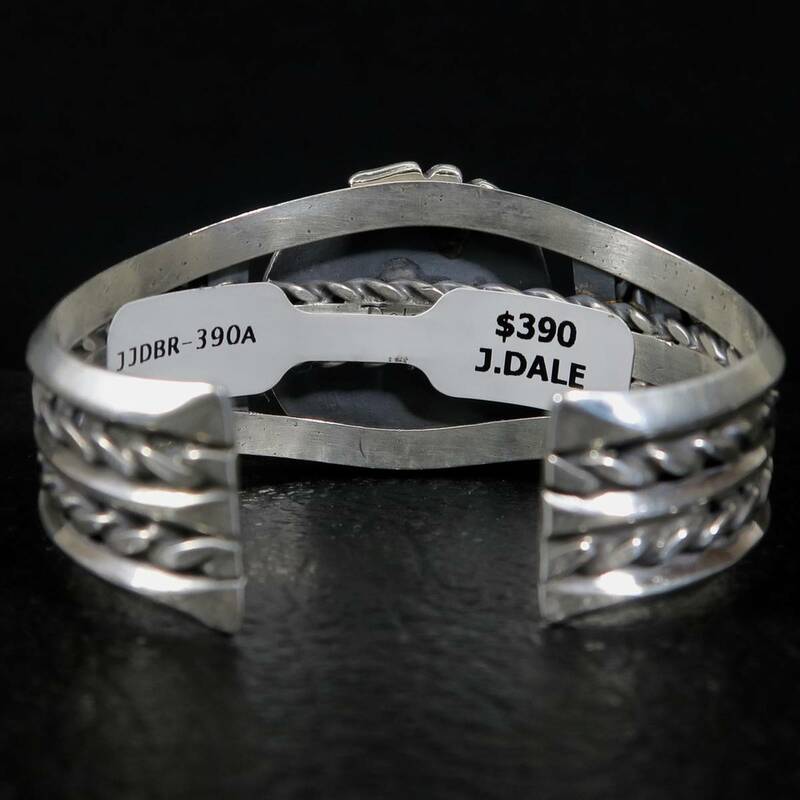 This piece features twined silver, stamping, an hammering. It is a malleable piece where it can be fitted on and off. An elegant bracelet to add to your jewelry collection.